Although W.E. 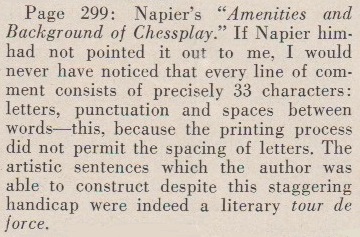 Napier (1881-1952) was a highly quotable writer, he produced only one chess work, Napier’s Amenities and Background of Chess-Play (published in three ‘units’, the first two in 1934 and the third the following year). After his death they were adapted into a single volume entitled Paul Morphy and The Golden Age of Chess (New York, 1957 and 1971). 78. 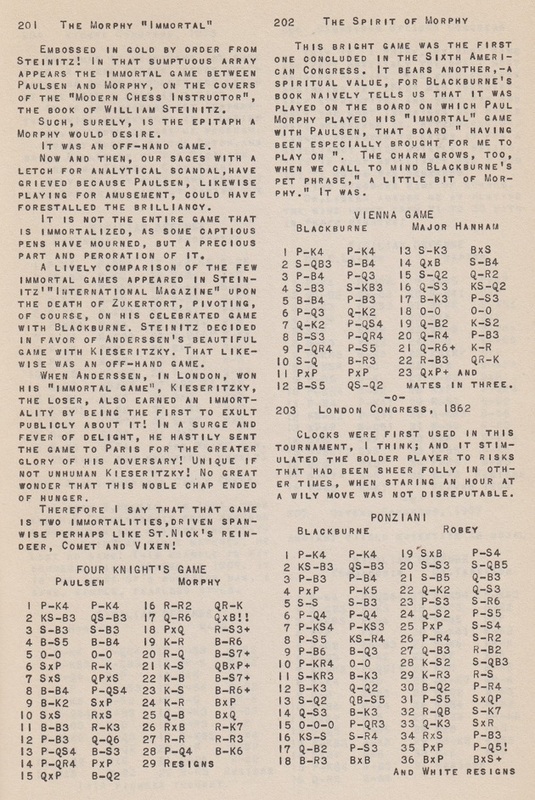 ‘No chess book, I think, can be complete without a page of homage to Master Bird. 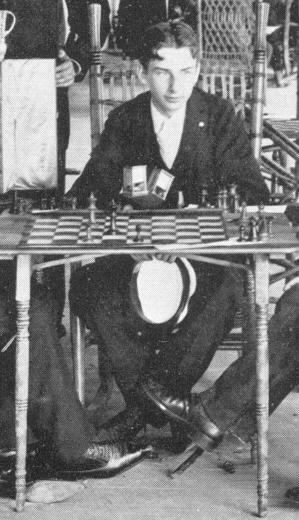 If I had only one page to rejoice in, it should own up to a kindly veneration for all his adventures and misadventures, his farce and comedy and drama of the chess board. 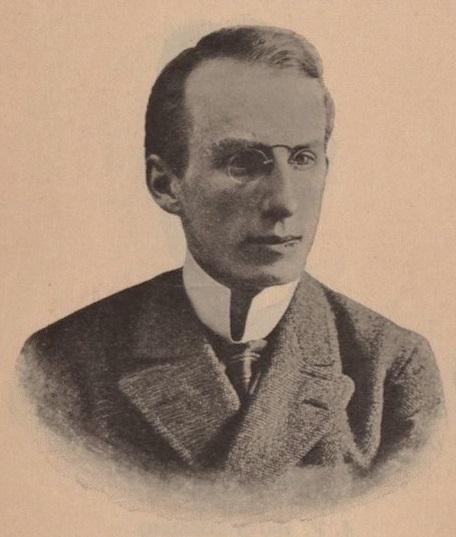 The roots of his chess were deep sunk in the tradition of Labourdonnais and McDonnell; he played Morphy; and half a lifetime afterwards we see him at Hastings, playing a thorough-bred game which Pillsbury declared was too beautiful to annotate. A long stretch, that – and brim-full of enthusiasm. He adored chess, – the play itself, I mean, which is not common among masters. I saw him once at Simpson’s Divan but not to speak to. I brought away an impression of fulminating chess, of hearty laughter and liberty and beefsteak. He romped. 128. 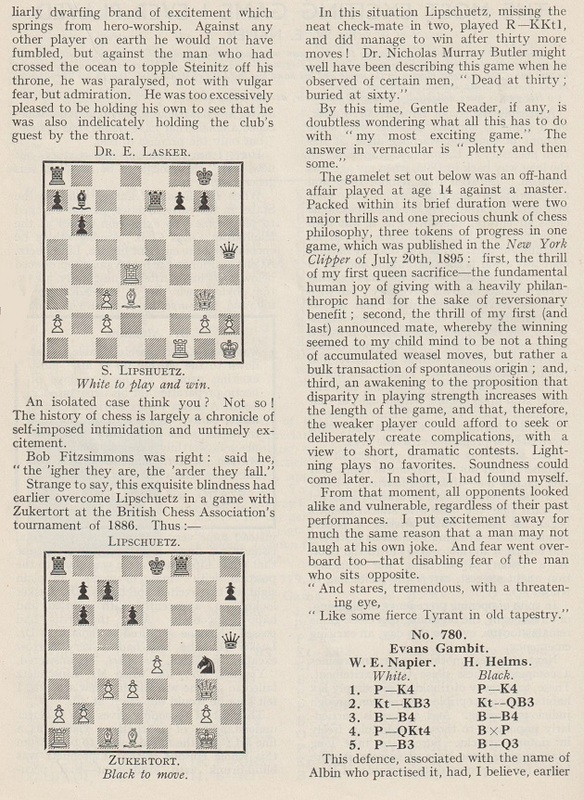 ‘A genial disposition shines in all Tartakower’s chess. It is infectious fun. And when he loses a game, he writes sincere eulogies, fit for an epitaph, of the victor. 166. 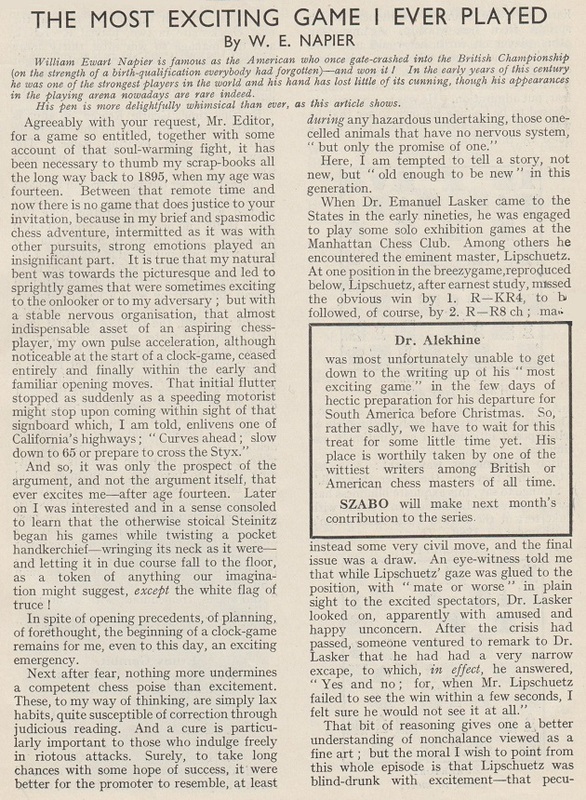 ‘It has been my observation all through the years that the master player nearly always makes lively games at correspondence, even tho his play vis-à-vis is governed by more conservative models. The only theory I have adduced is that the social nature of mail exchanges quite subordinates mere winning to joyful, yawing chess. 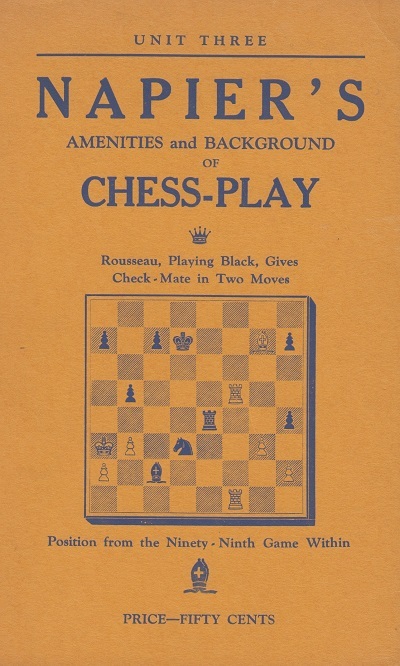 That page, picked at random, is the first of unit three of Amenities and Background of Chess-Play (New York, 1935). Latest update: 4 February 2018.